We’re pleased to announce to new great features on the site – one’s that have been in the pipeline for a while now. and recently we managed to implement and test thoroughly. The Hot drinks and Non-alcoholic drinks filters. Yep thats right, you can now filter results based on warm drinks only or for ones that don’t include any alcohol. The steps are simple – do a search on the site, and down the right hand side are two new filters. Tick, and the screen will refresh with your results – simple. With Christmas the New Year fast approaching, our northern hemisphere friends will probably love this new feature, as they look for some great Christmas warmers to heat up the cold evenings. 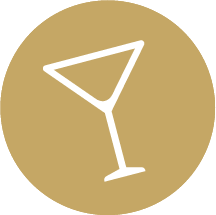 Because we wanted to give you the best results possible, we also searched high and low for some new great cocktails that could utilise these filters more – and so we’ve added over the past week over 25 new cocktails, many of which are warming or non-alcoholic. We hope your enjoy these new features, now get cooking (mixing / combining / drinking).